This beauty is my new acquisition: the Degarmoara Winter Wonderland ‘White Fairy’ orchid. 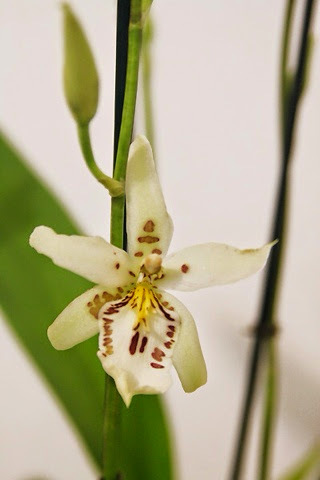 Part of the Oncidium Alliance, this orchid is an intergeneric hybrid between Brassia, Miltonia and Odontoglossum. I never get tired of saying "Oncidium Alliance"—it sounds like the name of a band of intergalactic warriors. 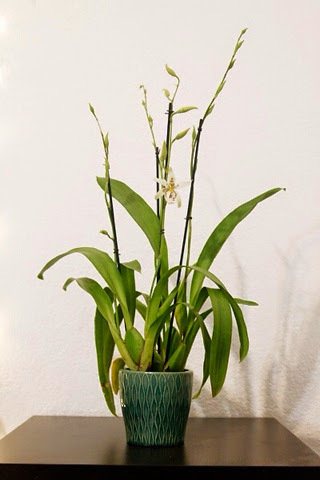 The pot had no accompanying label, as with most orchids, so I'm making a guess based on Google research. 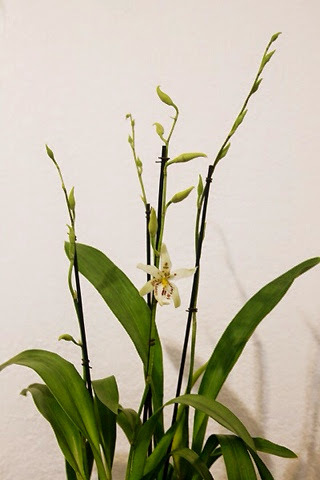 This is my most expensive orchid—I think I buy orchids to relieve stress, but most likely they will create more stress in the long run. I see a vicious cycle coming on.